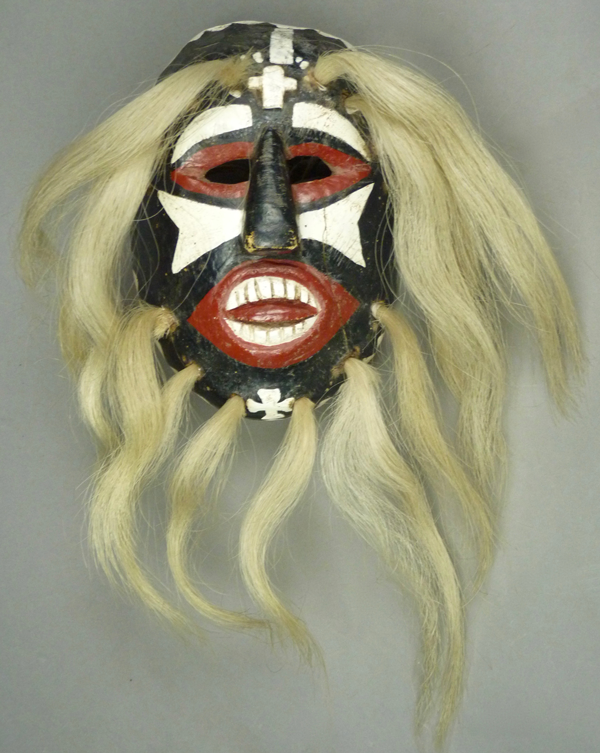 Other notable details involve the mouth, which has oval lips carved in relief, carved upper and lower teeth, and an extended tongue. These elements were all carved in place, including the tongue, and none of this carving extends through to the back. The apparent width of the mouth has been extended by painted corners, either originally or later. 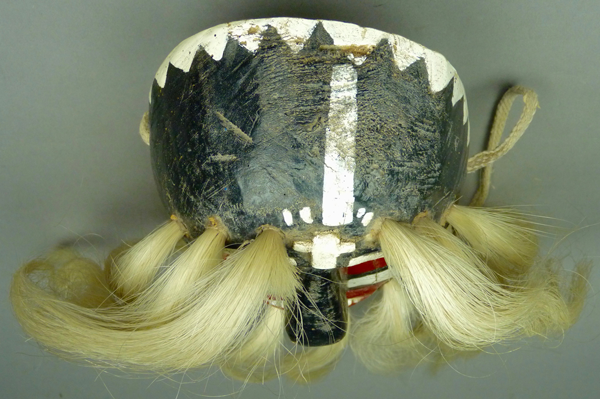 Implanted hair bundles form brows and a beard, the bundles are held in place with wooden pegs, and the bundles are not anchored by string though the back of the mask. 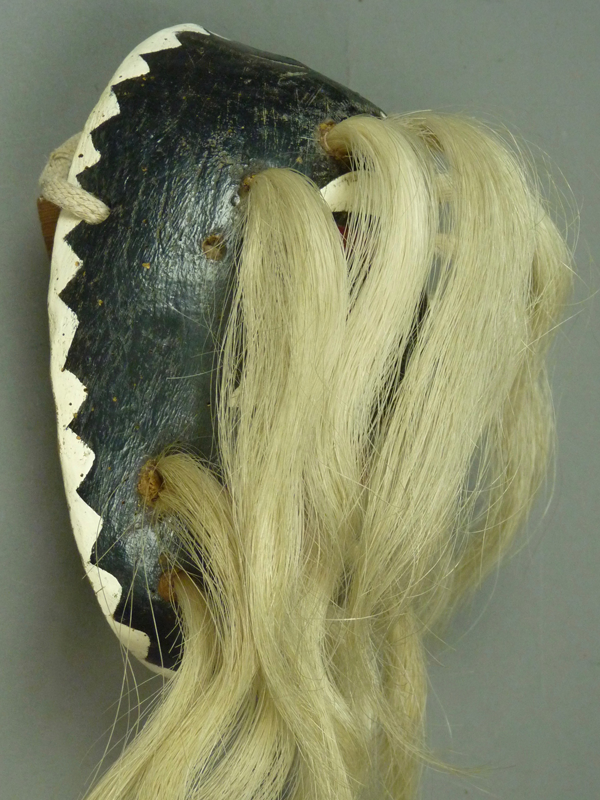 Two of the pegs are visible anchoring hair bundles near the right corner of the mouth. The rim design was painted but not outlined with an inscribed line. An awkward-looking off center line connecting the forehead cross to the rim design was probably added later. There are painted wedges on the cheeks. 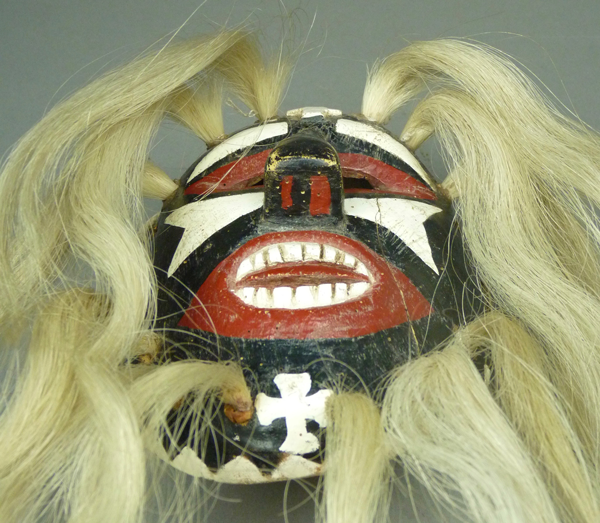 A Maltese cross has been painted on the chin, probably by a dancer. 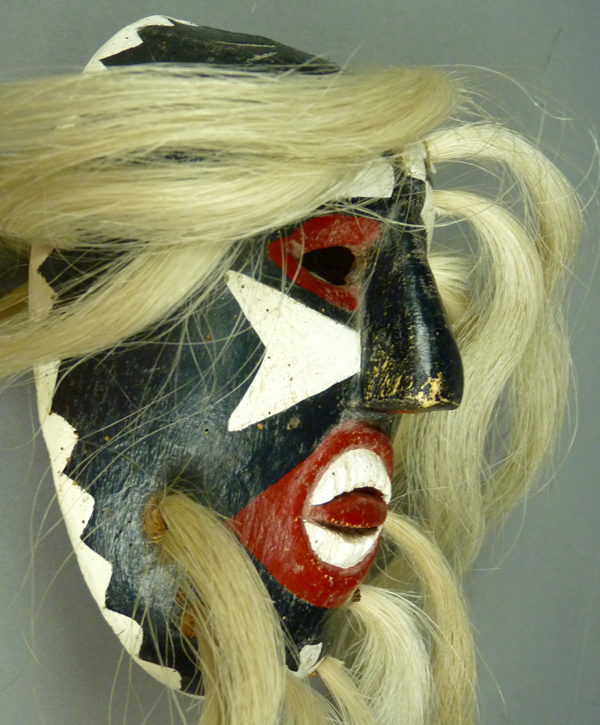 This mask is 7 inches tall, 5 inches wide, and 2¾ inches deep. On the back the most notable feature is the absence of any string to secure the hair bundles. There is a long crack that extends up the left side of the back. This has been stabilized with a metal staple. The back has marked staining from use and there is an old (shoestring) strap that is soiled and mildly frayed. 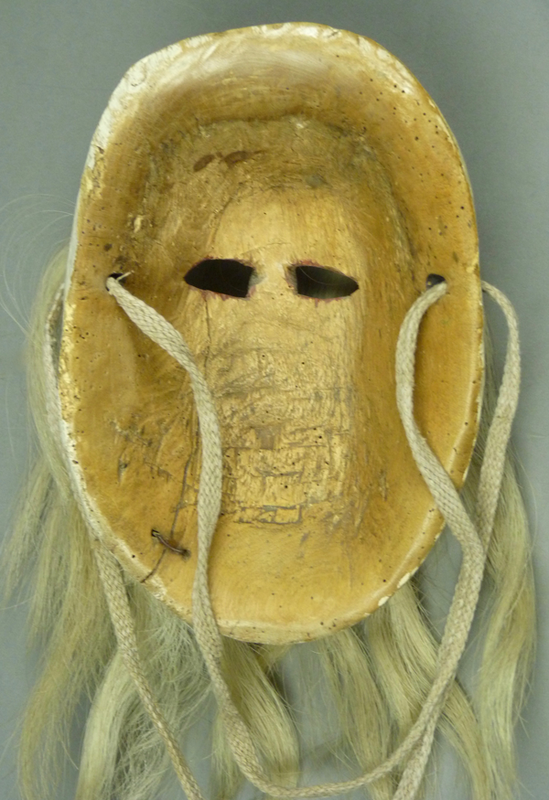 Next week we will examine an old Rio Mayo Pascola mask that was danced by a grandfather, his son, and his grandson over a period of many years.